Select schools by type, size, LA, location, Ofsted, pupil premiums, etc. Either use your own data or ours! 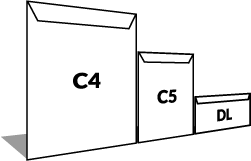 We can also save you 30% on your 2nd class postage for C5 mailings below 4000 and 60% for C5 mailings over 4000! “We used Schools Mailing to break into the school market using Direct Mailings. Schools Mailing handled all of the print, fulfilment and mailing data for us, all we had to do was the artwork. Their service is efficient and friendly and importantly their prices for the whole package were better than other companies we asked – We have had such a good response that we are looking to expand our mailing program in the coming 12 months”.